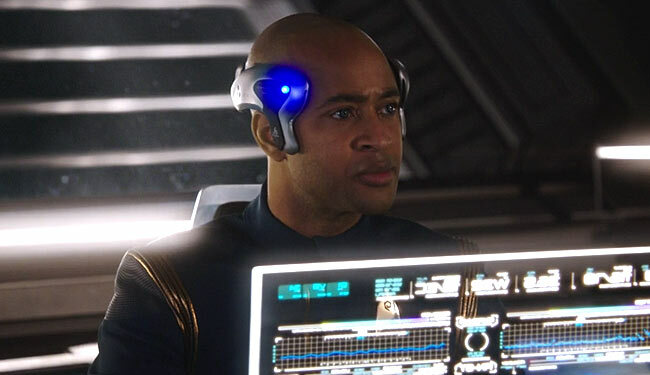 It looks whatever Lobot wore in Empire Strikes Back; I think this is the Discovery version of Uhura’s earpiece. The lights blink when it’s in use! The warm colors contrast all the coolness we see in the rest of the ship…and it looks like the inside of a beehive! It’s made out of a material my cat would love and it has a popped collar. 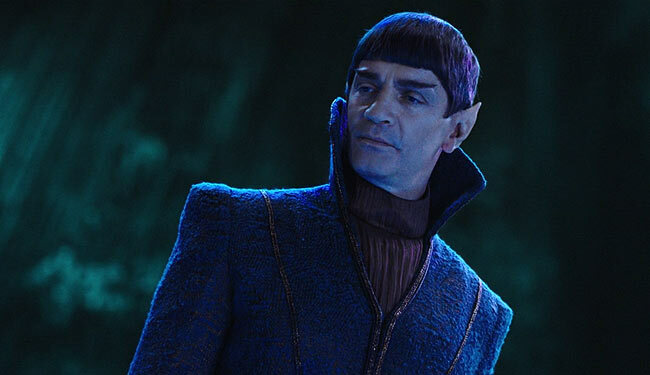 Going out for a night on the town are we, Sarek? 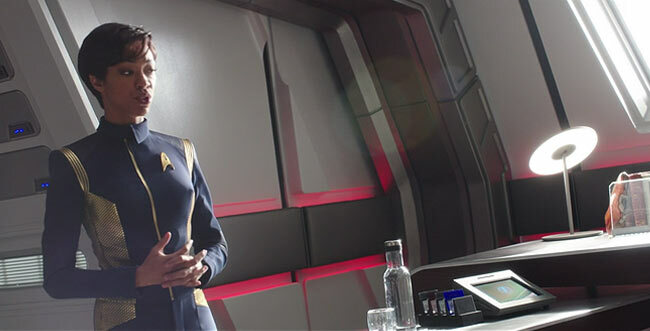 I love it when the environment outside the ship affects how the interior looks; the Amargosa star made everything super orange in Star Trek Generations, Janeway’s ready room always brightened up when Voyager landed on a planet, and now we get a similar effect with the light from the binary stars and the Klingon beacon. Say what you will about the redesign of the Klingons, but we can all agree the interior of their ship is very impressive. The Gothic church-looking insides caught my interest the second the production art was leaked. 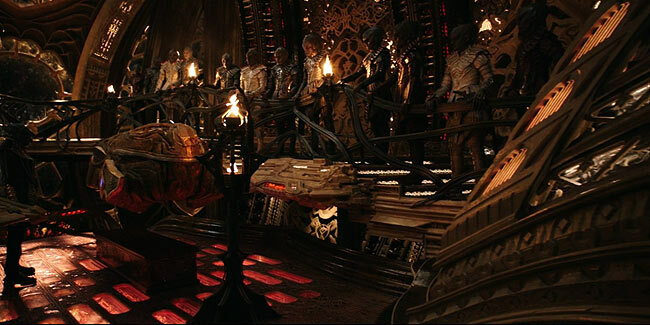 Makes me think of Goa’uld ships in Stargate – just a spaceworthy temple lit candles and torches everywhere.